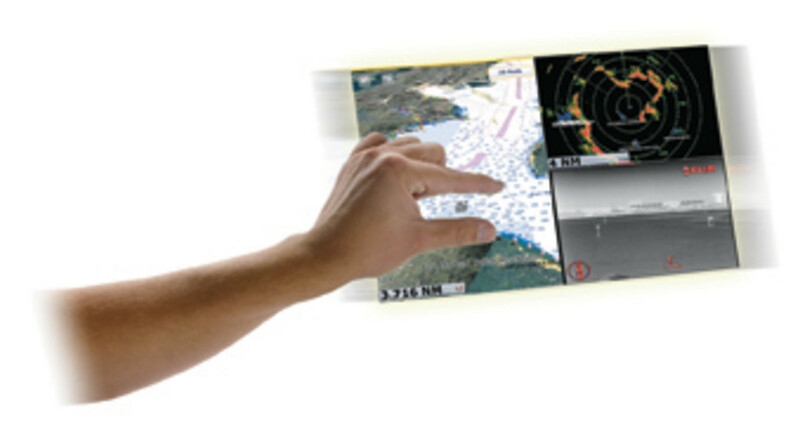 When talking about technology’s impact on boating, yacht designer Bill Prince says the industry might want to take note of what Ford Motor Co. has learned about touch-screen technology’s limitations in a vehicle. In June, amid customer dissatisfaction with its MyFord Touch “infotainment” technology, Ford announced it will return to traditional analog knobs for such functions as volume and stereo tuning. Drivers found it difficult to change radio stations and adjust volume. Ford’s redesigned control panels will use simpler screens and include more physical buttons and knobs. Good point. In cars, the driver generally must keep a higher level of attention on what’s ahead than a boat driver, but a car also delivers a smoother ride. “Boaters not only have to deal with weather but also overall movement and vibration of a boat under way,” Prince says. All of these factors should be thought through, say Prince and Zurn. And Volvo Penta, which recently introduced the Glass Cockpit touch-screen helm system, says it has done so. The Glass Cockpit collects all navigation information and delivers it via one or more touch-screen displays from 8 to 19 inches. Volvo Penta teamed with Garmin on the system, which just about wipes away the need for physical gauges at the helm station, giving the skipper an experience similar to driving an automobile, says Volvo Penta. Glass Cockpit will be found mostly on larger boats, says Celander, “but the system works fine in smaller applications, too.” Volvo Penta in June held a press event in Sweden showcasing its new engines and technologies, including Glass Cockpit. The smallest boat with the system was a Targa 32. Other boats were 44, 52, 55 and 70 feet. If navigation loss is a concern, you can use multiple displays for redundancy, says Celander. It appears Volvo Penta and Garmin have hashed out all the possibilities. This article originally appeared in the September 2013 issue.